Free Facebook Video Downloader, learn the smart, fast and free way to download Facebook video with AVGO’s newest freeware addition. Free Facebook Video Downloader is another useful freeware from AVGO that lets you download Facebook video for free so you can view them without having to connect to the Internet. 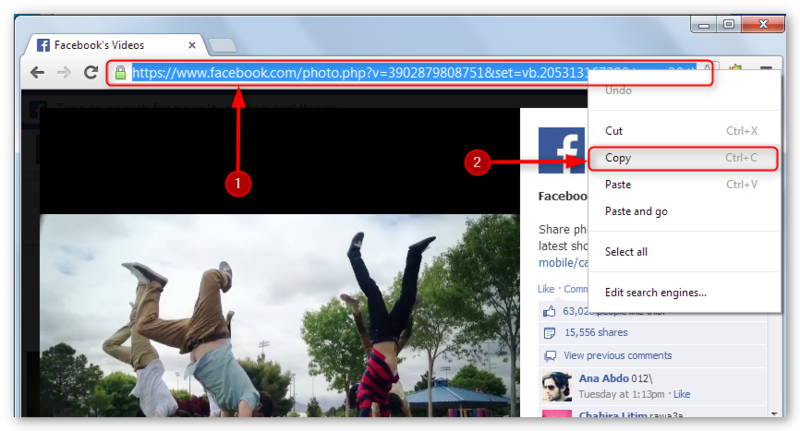 It is quite simple to use, all you have to do is copy the URL of the Facebook video you want to download, paste the said URL to the interface of Free Facebook Video Downloader then start downloading the video on your computer. It also has a “direct convert” function that gives you the option to convert the Facebook video to a file format you prefer while it is being downloaded. What are you waiting for, start downloading those Facebook videos on your computer so you can watch it anytime even when you are offline. 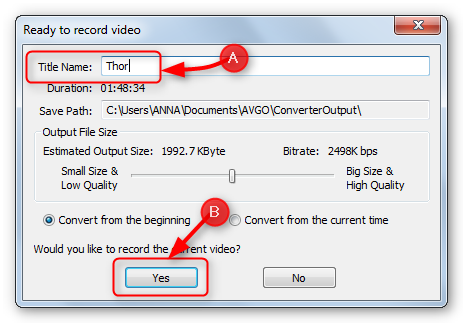 Note: Should you choose “Convert to” as your next action, this will directly convert the video and you have to choose the output format via the drop down box as shown below before you click the “Download” button. 9. That simple! Now you can start watching your favorite Facebook video even when you are offline. Learn how you can convert your AVI to MP4 videos the fastest and easiest way using the best video converter freeware. 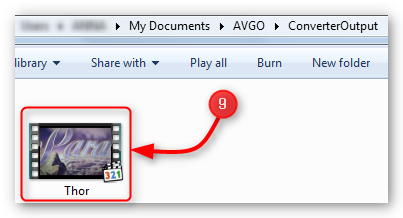 The most acceptable file format to most portable devices is MP4, but why purchase MP4 videos when you can convert your AVI videos to MP4 videos for free with AVGO Free Video Converter? 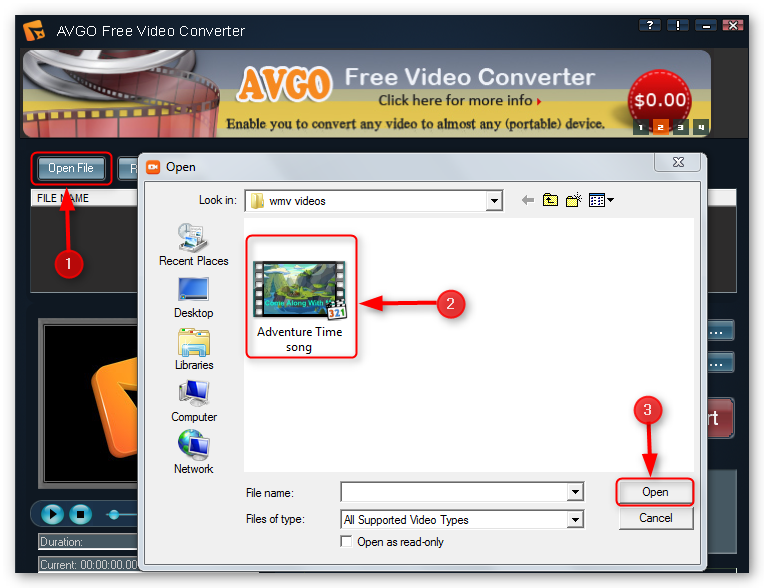 AVGO Free Video Converter is a powerful freeware that can convert all video file format to any another video file format you may require. It has many profile settings to support most portable devices (ie. iPad, iPhone, iPod, Samsung Galaxy, Android device, Nokia, etc.). It also gives you the option to customize your output, like video resolution, video size and more. Stop wasting money on purchasing MP4 videos and start converting for FREE! 1. 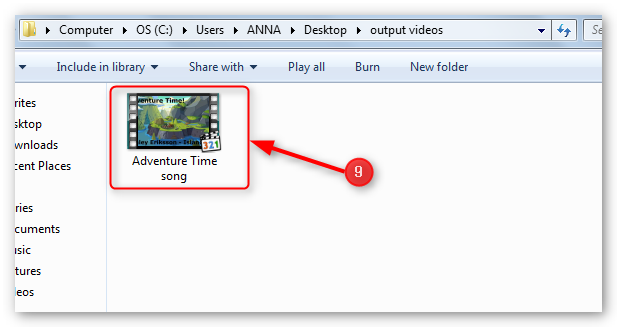 Click “Open File” from the interface to access the folder where the AVI video you want to convert is saved. 3. 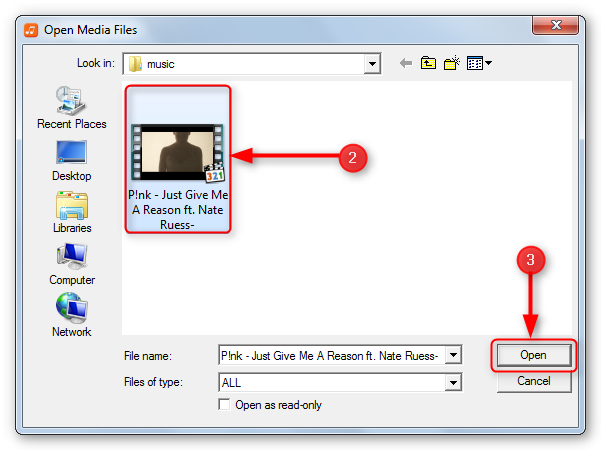 Click the “Open” button to add the video file to the converter program. 4. Set the output format via the “Profile” drop down box. 6. 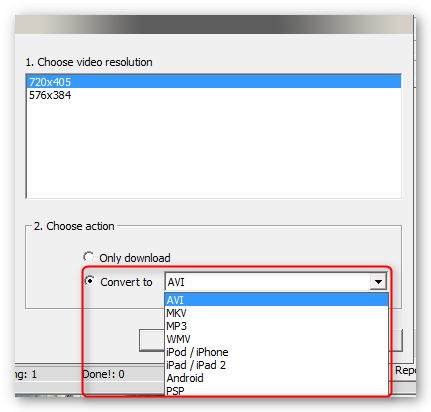 Next, click the “Convert” button to start the conversion of AVI to MP4. 7. You may view the progress of the AVI to MP4 conversion via the conversion status bar as described below. 8. 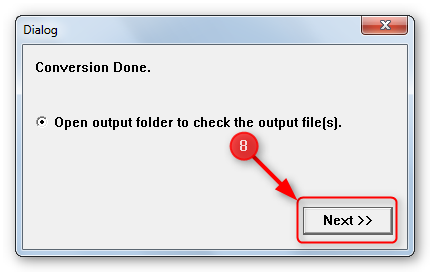 When the AVI to MP4 conversion is done, you will get a dialog box where you can click the “Next” button to open the output folder. 9. 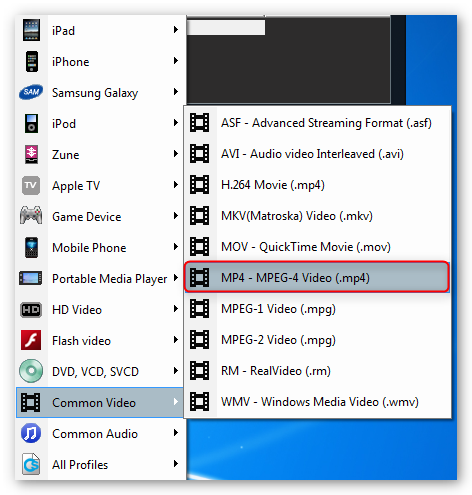 That simple and you may now view the MP4 file on your computer or transfer it to your device. Free Hulu Downloader, fixed Hulu download problem, it works! Now, new version fixed Hulu download problem, it works! Free Hulu Downloader help you watch your favorite Hulu videos even if you are not connected to the internet through the free Hulu downloader feature. Next to YouTube, Hulu is another most viewed video streaming website but just like YouTube, you can only watch the videos when there is internet connectivity. AVGO Free Hulu Downloader addresses the said limitation via the free Hulu downloader feature of the program. You just have to download your favorite Hulu videos and save it on your computer so you can watch it anytime you want. AVGO Free Hulu Downloader is very easy to use and it also has a “direct convert” capability which gives you the option to convert the video to a different file format while it is being downloaded and stored on your computer. This feature is very useful especially if you want to transfer the video on your portable device. So take advantage of the free Hulu downloader feature now and download AVGO Free Hulu Downloader. 1. 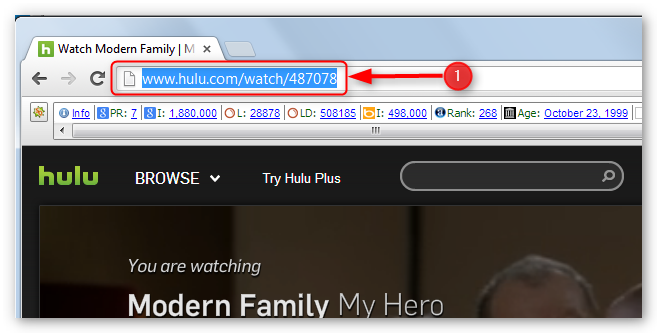 Copy (press CTRL + C) the URL of the Hulu video you want to download. 2. Click the “Paste URL” button. 10. Congratulations! You may now watch your favorite Hulu videos even when you are offline. Convert audio for free to keep yourself entertained while driving and during your workout with the best audio converter freeware in the market. We live in a fast paced world and as ironic as it may sound we often see activities such as long driving on the countryside and gym time while listening to our favorite music as a stress releasing outlet, a time out from our busy lives. 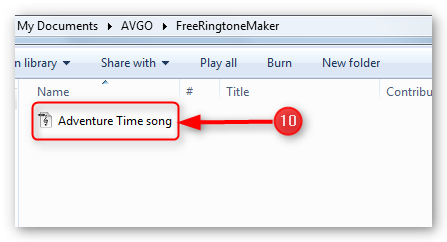 We at AVGO understand that , so we are giving you a software to convert audio for free. 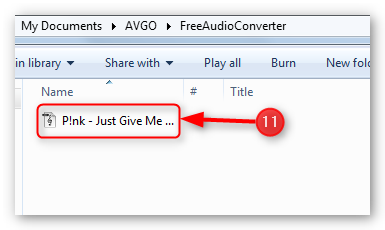 AVGO Free Audio Converter is a very easy to use tool that can convert from any audio or video (by extracting the audio from the video) file such as .mp3, .m4a, .wav, .wma, .avi, .flv (YouTube Format), .mp4 (iPod Video Format), .wmv, .mkv, .rm, .ra, .mov, DivX, XviD, 3GP, etc. and output it to different audio formats. It also has other cool functions you can play with to make your playlist more suited for your needs. Download Free Audio Converter now and find out more about what this simple software can do for you! 2. Choose the File you want to convert. 3. After choosing the file, click the “Open” button. 4. 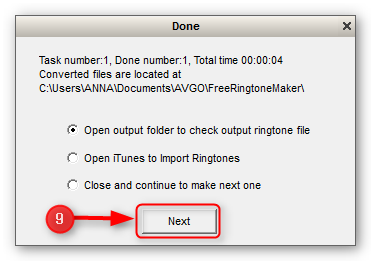 Then, select the output format (.mp3, .wav, etc.) via the “Output Profile” drop down box. 5. 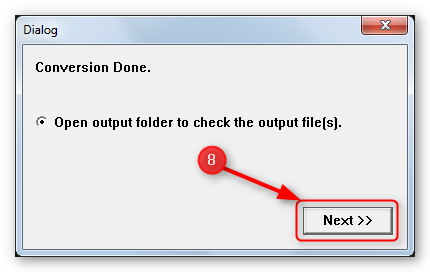 Be sure to set the output path to your preferred output folder in your computer. 6. You may set the the “Begin point” arrow and “End Point” arrow to trim/clip any part you like. You can also Move the “Audio Fade” slide bar to set the fade in/out percentage. 8. Once you are done and satisfied with the settings you may now proceed to clicking on the “Create Now” button to start conversion. 9. You can view the progress of the conversion from the progress bar as shown below. 10. When the conversion is finished, you will get a dialog box where you will be asked what you want to do next. After making the choice, just click the “Next” button to proceed. 11. You may now transfer the output audio to your device. Know more on how you can rip a DVD to Samsung Galaxy for free with AVGO Free DVD Ripper Software. Next to iPhone and iPad, the Samsung Galaxy series has been the most sought after device in the market today and is considered as the leading brand for Android powered devices. It is often favored among other devices for its superb video playback quality and it is a perfect portable device to watch your favorite movies on. 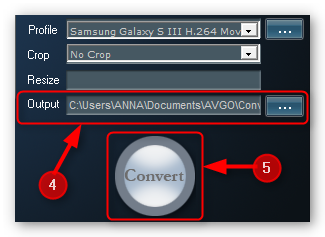 AVGO Free DVD Ripper software offers you the amazing opportunity to rip your favorite DVD to Samsung Galaxy compatible format absolutely free. It has a simple interface which makes it very easy to use. On top of that, you can modify your output (output file format, video size, etc.) to fit your viewing requirements. 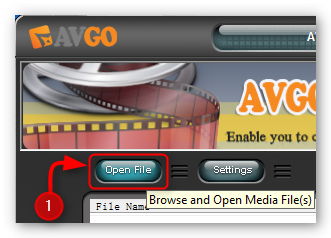 Wait no more, download AVGO Free DVD Ripper now, the BEST freeware you will ever have. Please click “Open DVD” which is located on the left side of the program interface to access the DVD you want to rip. Please choose the format for Samsung Galaxy from the “Profile” drop down box. Kindly set the output path to any folder on your computer. This is where the converted file will be stored. From the output folder, you may now transfer the converted file to your Samsung Galaxy device.